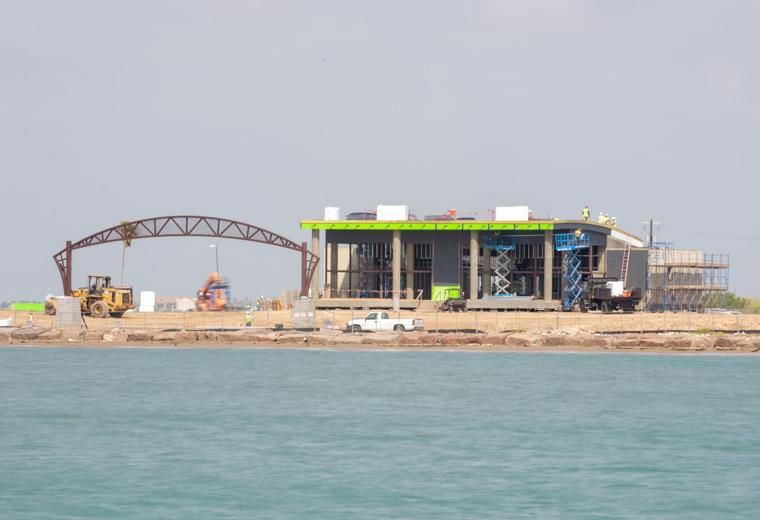 Work is done on the construction of the multipurpose building at the Sand Piper Pavilion on Friday, June 1, 2018, at Isla Blanca Park on South Padre Island, Texas. Cameron County parks revenue dipped during the third quarter of the fiscal year, generating a quarter-million dollars less than the same period in 2017, according to a report. Joe Vega, director of the parks and recreation department, presented the figures to county commissioners Tuesday. County parks brought in about $2.7 million from April to June, nearly $270,000 less than the same timeframe last year. Vega said one factor was bad weather in April, which saw rain every weekend. Another was that Semana Santa, which draws vacationers to South Padre Island from Mexico, fell in March. There’s also the ongoing construction at Isla Blanca Park to consider, Vega said. The site had the largest decline in revenue. “Isla Blanca Park itself experienced a total decrease of $352,366.42,” according to the report. Its RV occupancy was 45 percent, a 23 percent drop from the same time in 2017, it stated.